I submit your link to 20 High Page Rank Dofollow Backlinks. 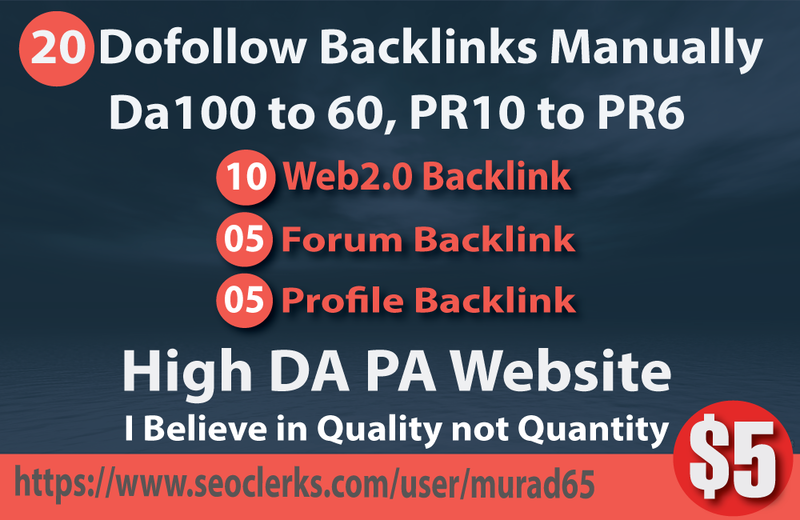 It will increase your PA DA and you will get visitor or traffic from these Backlinks. or current status, user name, and detailed report.